The Wailea Beach Resort – Marriott, Maui is not a typical Marriott. It is set in the lively, lovely Maui resort development of Wailea. This hotel competes and holds its own with neighboring resorts from high-end hotel names like Four Seasons, Fairmont, Waldorf Astoria, and Relais & Chateaux. Its many five-star amenities include a fabulous luau, an arrival/departure lounge with showers and lockers, and an overachieving spa (see below for more info). Most significantly, Wailea Beach Marriott occupies the best location in Wailea. The resort hugs a stretch of oceanfront that was Wailea's first section to be developed. It originally opened as the InterContinental in 1976, and it got its pick of sites. At that time, InterContinental was the reigning luxury hotel brand, and every hotel that it opened was a design statement. This setting is the envy of its neighbors. Its topography permits it to have rooms and suites practically atop the water's edge—it is the Wailea resort closest to the shoreline. The resort also offers two first-rate beaches, Wailea Beach and Ulua Beach, on either end of the property. The property was modernized in 2006 and again extensively renovated in 2016, with clean lines and an aquatic palette that underline the resort's unique intimacy with the Pacific Ocean. It is as grand and impressive as ever, with a ceremonial "arrival experience" at is Grand Lanai, a ceremonial porch with caressing Tradewind breezes. The resort is still private-feeling and romantically Hawaiian, with incredible viewpoints all over its 22-acre property. Beyond the prime site, the Marriott is very convenient to everything that Wailea offers. Community attractions and other resorts are easily accessible via the irresistible Wailea Coastal Walk that skirts the waterfront. The resort attracts a varied clientele, but many guests are Americans from the mainland. The hotel regularly hosts Hawaiian destination weddings and girls' getaways, yet families are also drawn to this kid-friendly resort. Golfers stay here, too—Wailea Golf Club offers three renowned courses. You will probably love this resort if you want to be in a resort area that gives you easy access to dining, social, recreation, and shopping options beyond your own hotel; if you're traveling with restless kids always looking for something different to do; if you like contemporary, comfortable rooms with sensational views; or if you want a resort with a good spa, gym, and tennis on-property. The Wailea Beach Resort – Marriott, Maui may not be your ideal Maui getaway if you like to be cocooned in a cushy, serene, private-feeling luxury resort. If this is more your speed, you may want to try The Ritz-Carlton Kapalua. You may also be disappointed if you prefer a rustic Hawaiian inn or an intimate boutique hotel because while the rooms feature simple, modern beach accommodations, this property has over 500 rooms. Finally, if you are used to hotels that offer upgraded club status so you can be pampered in the Club Lounge, you won't find that here as there's no club level at the Wailea Beach Resort. The Wailea Beach Resort – Marriott, Maui offers a total of 547 accommodations in the form of rooms and suites (suites include one or more bedrooms). They share the same style but two distinct environments: guests can choose either the villa feeling with airy, three-story Hales—Hawaiian-style low-rise villas—each with a couple of dozen rooms located very close to the waterfront; or the condo feeling with rooms in the eight-story Wailea tower. Whether located in the resort's low-rise or high-rise structures, all the rooms are airy, clean-feeling, and not over-decorated. Overall, they convey the vibe of a beach hotel and sandy footprints would not be out of place on their refreshingly cool stone tile floors. ​The resort’s comfortable, contemporary, residential-style accommodations have features designed for the modern traveler while staying true to its beach location. In-room technology includes personal device mirror-casting, custom music streaming, and personalized Netflix and Hulu content. Every room here has an outdoor lanai (balcony), while 62 ground-floor rooms feature extended lanai patios that create a seamless indoor/outdoor living experience. Some accommodations are only a few feet from the water, ensuring a closeness to the ocean that cannot be replicated elsewhere on Maui. Complimentary perks for guests include free wifi all over the resort, bottled water, a shuttle around the Wailea resort community, and self-parking (valet service is available for a charge). While the resort's location makes dining outside the hotel as easy as taking a stroll on the Wailea Coastal Walk, there are a number of tempting dining options located right at the resort, itself. Humble Market Kitchin by Roy Yamaguchi is the resort’s signature restaurant. Its menu honors the pan-Asian traditions of the celebrity chef's native Hawaii, with recipes drawing from Japanese, Filipino, Chinese and native Hawaiian cuisine. This one-of-a-kind restaurant offers indoor/outdoor dining, panoramic ocean view, and a friendly vibe. KAPA Bar & Grill is a poolside destination for both dining and for sociable drinking and lounging, with handmade cocktails, a full menu, and diversions like billiards, shuffleboard, gaming stations, and large-screen TVs. Families especially love the atmosphere and casual menu. Whale’s Tale, steps from ocean’s edge, is a new casual beach bar that offers healthful organic snacks, salads, bowls, and beverages by day and craft cocktails and heartier dishes by night. The Mo Bettah Food Truck and Pool Bar at the NALU Adventure Pool serve grab-and-go options, kid-friendly favorites, and local treats like shaved ice and poké. The traditional Hawaiian luau features an endless selection of delicious Hawaiian dishes. Several entrees include Maui seafood pasta, shoyu chicken, Hawaiian fried rice, teriyaki steak. The meal's centerpiece is Kalua pork, a whole specimen cooked in a stone-lined underground pit. An all-inclusive price covers the show, all-you-can-eat chow and as many slices of coconut cake and glasses of piña colada as you can handle. Wailea Beach Resort has taken advantage of its 22 acres by creating three very distinct pool experiences, allowing guests to choose their own space for relaxation, rejuvenation and (often) exhilaration. NALU Adventure Pool is comprised of a two-acre pool complex, offers a fun-filled experience for families and kids. The centerpiece of the NALU Adventure Pool is four water slides. The longest is 325 feet—the longest water slide of any Hawaiian resort—with a drop five-and-a-half stories. Enticements for all ages include an interactive splash zone with water guns, spraying sea mammal sculptures, jets and bubblers, and a swim-through grotto. Spacious family cabanas provide comfort and added fun. Maluhia Serenity Pool is an adults-only infinity pool, features over-water private cabanas, "casabella" mini-cabanas for two, and luxury chaise lounges. The pool's multi-level pool decks presents unobstructed panoramic views of the Pacific. The ‘Ohi Pools are the resort’s two oceanfront pools offer an additional vantage point to enjoy spectacular Pacific views of the Pacific. Perfect for whale-watching, the dramatic infinity edge is so close to the ocean, guests feel the water's spray and mist as waves meet the coastline. Two whirlpools and numerous cabanas, provide further relaxation. ​The Dive Pool is part of the NALU Adventure Pool complex is an aquatic space dedicated to scuba certification and instruction in diving, snorkeling, and other watersports. The hotel's two beautiful beaches, Wailea and Ulua, are held in high esteem by Maui locals. Both beaches face west, toward rainbow sunsets, and boast powdery sand, sapphire water, and surf gentle enough for toddlers to splash in. Water sports of all kinds are easily arranged, from kayaking to surfing. Mandara Spa is a full-service relaxation station that brings a corner of the Far East to this Hawaiian isle of Maui. Mandara is a worldwide spa brand that originated in gentle Bali, known for its spa culture. A broad spa menu includes facials, massages, body and beauty treatments, and services for kids, teens, guys, and couples. Lounges offer healing pools and steam rooms. Treatments utilize Maui ingredients such as lava stones and sea minerals. Some treatments can even be performed in your room or suite. Resort guests have quite a few non-aquatic exercise options. The well-equipped fitness center is accessible 24 hours, and guests have privileges at the Wailea Tennis Club. Wailea is a bucket-list travel destination for golfers. The Wailea Golf Club, a short walk away from the resort, offers three renowned championship courses (Gold, Blue, and Emerald). The par-72 Gold Course is just over a mile away from the resort via complimentary shuttle. The hotel concierge helps finesse reservations and tee times. The best Wailea workout, by far, is also the most popular one: a walk, jog, or run on the one-and-a-half-mile oceanfront Wailea Coastal Walk. Year-round, walkers will spot Maui's honu sea turtles. December through April, local waters host an annual Maui tour group: Maui's migratory humpback whales, who glide down from their summer home in Alaska to mate and breed here. 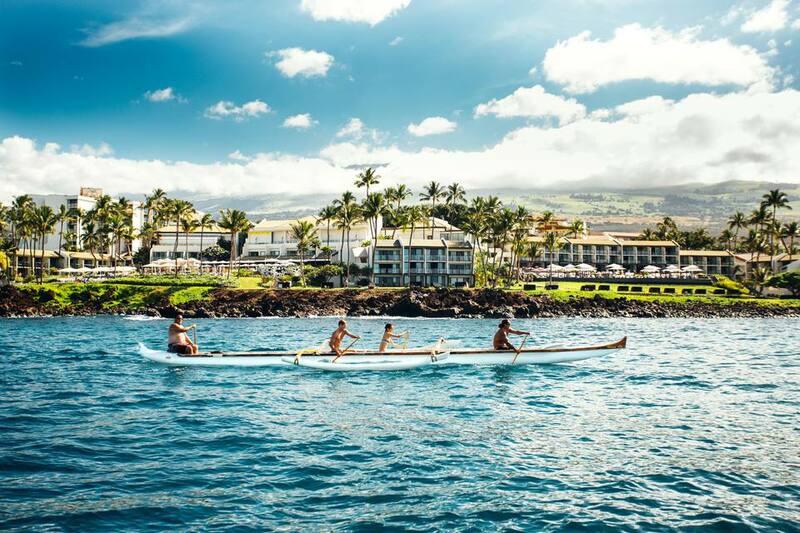 The resort's concierge can arrange waterborne whale-watching expeditions and can assist with off-property Maui adventures such as Hawaiian horseback treks and the legendary Road to Hana day trip.